What am I all about? I am one of those people who are considered a little sad in that I like playing Facebook games. 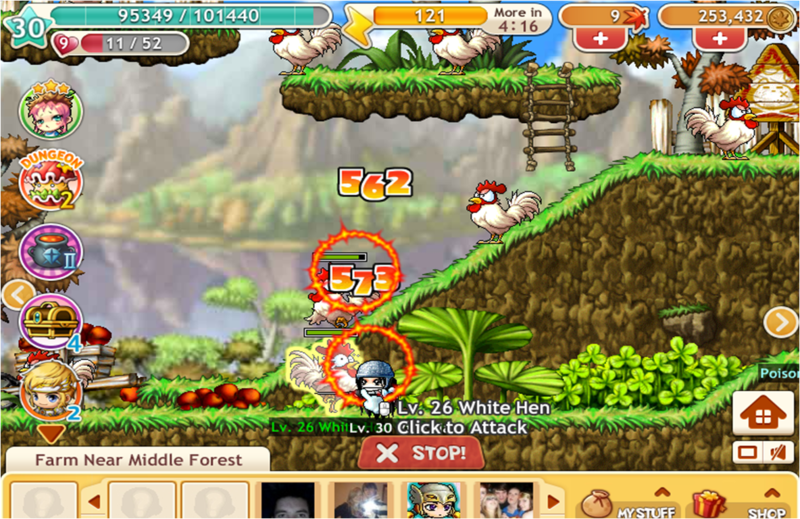 My favourite at the minute is MapleStory Adventures. I’ve been playing it for a while now, and even though you have the annoyance of having to wait for your energy to refill for hours, I find myself clicking on it every day, to the point where I’m not making as quick progress anymore, even with with my second character! Still, if you’re a Facebooker and like fighting random monsters to complete quests, it’s kinda fun, at least for a little while.